Economists in the post-Cold War era are increasingly circumspect about universal, one-size-fits-all conceptions of human behaviour and economic institutions. Contemporary economics is thus marked by a nascent pluralism. Economic Pluralism brings these pluralist sensibilities to the fore. Its twenty original essays explore the positive potential and critical limits of pluralism in economic theory, philosophy, institutions, and policies, and education. These twenty original essays reflect the maturity and breadth of pluralist scholarship in economics today. The first eight chapters (including critical essays by Tony Lawson, Diana Strassmann et al., Frederic Lee, and David Colander) stake out contentious positions on the value of pluralism in economic theory and philosophy. 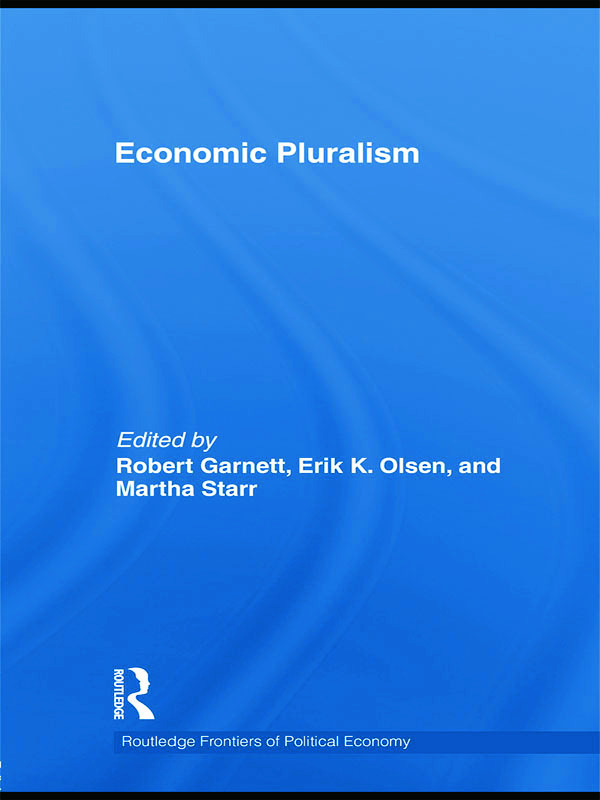 The remaining chapters explore the meaning and consequences of pluralism in economic education, institutions, and policies. This volume provides a unique "second generation" discussion of pluralism in economics. Its twenty original essays stake out contentious positions on pluralism in economic theory, philosophy, institutions, and policies, and education, reflecting multiple generations and traditions of thought. It is a volume certain to spur wider conversation about the scope and value of economic pluralism for the 21st century. This volume would be of most interest as a supplementary text for graduate or undergraduate courses that include units on heterodox economics or economic philosophy. Is convergence among heterodox schools possible, meaningful, or desirable? Why should I adopt pluralism? From competition and greed to equitable cooperation: What does a pluralist economics have to offer?